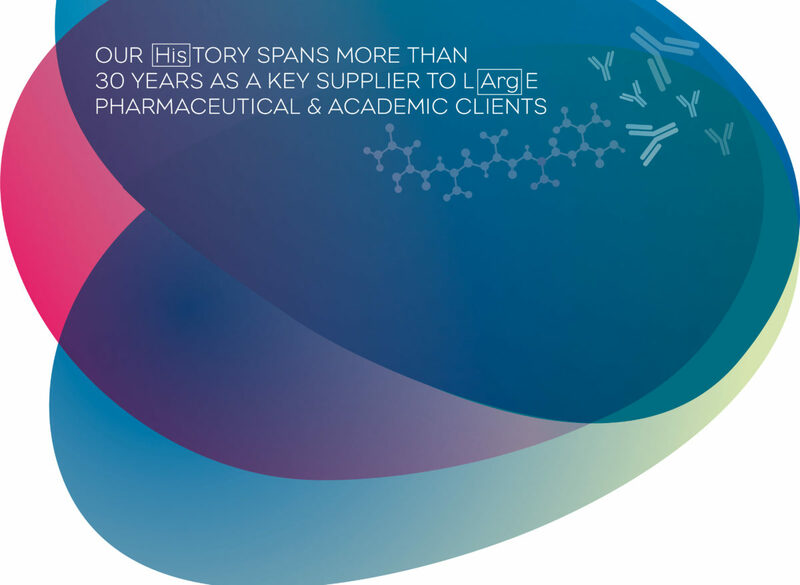 Our core business is the chemical synthesis of peptides and the custom production of polyclonal antibodies. Peptides and antibodies are different forms of proteins. As proteins control every process essential for life, discovering more about how they work and how they help the body fight disease and infection, is crucial for furthering medical research, drug development and health care provision. All CRB’s products are used purely for medical research purposes — primarily drug discovery and disease research — either by commercial organisations or academic institutes. We do not sell them to be used directly on patients. Alongside this custom-production, we also ‘partner’ small, highly specialised biochemical businesses to help them promote their services and gain wider exposure. A peptide is a shortened piece of protein made up of a chain of amino acids. Peptides occur naturally in the body, in hormones such as insulin and oxytocin. But they can also be made, or synthesised, chemically. (Synthetic peptides were first made in the 1900s, with a radical breakthrough in their production process in the 1970s). Scientists often find it easier to study proteins when they are broken down into these smaller parts, or peptides. Antibodies are the body’s response to infection. An antibody, or specific protein, is produced naturally by the body to recognise and then attach itself to the foreign invader (the infection) and remove it from the body. In simplistic terms, this is how our immune system works. Other foreign (but non-threatening) entities, such as peptides, can be used to stimulate an antibody response. Why are they of interest? To find cures for diseases: The Human Genome Project, of 2000, mapped out the 25,000 genes which make up the human genome. Each of these genes produces a protein with each protein responsible for controlling a particular process essential for life. Studying these proteins provides scientists with a wealth of information for understanding disease and infection and, therefore, how to find cures and develop drugs to fight them. To understand how proteins work: The easiest and quickest way to study a new protein is to make an antibody that recognises a peptide sequence within the protein. In this way, the peptide acts as a protein surrogate. If a peptide is made chemically, it can be produced more quickly – within around two weeks – and more cost-effectively than producing the native protein. The antibody to the peptide will recognise the peptide’s protein sequence and thus can be used to develop assays, or tests, to study the protein in health and disease. To test theories: Peptides can be tagged to see how they react or perform in different situations. Various substances – such as fluorescent dyes or radio isotopes – can be attached to the peptide and their behaviour monitored as different tests are performed on them.